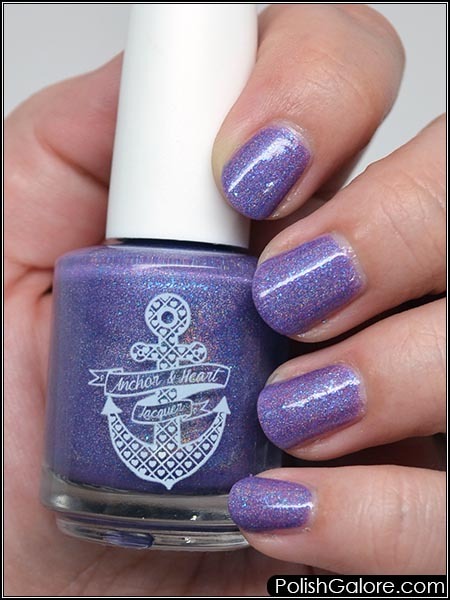 One of the neatest creations to come out of the Polish Convention is the Road to PolishCon series, where a special polish is created by each brand exhibiting that can be purchased by anyone before the Convention happens. 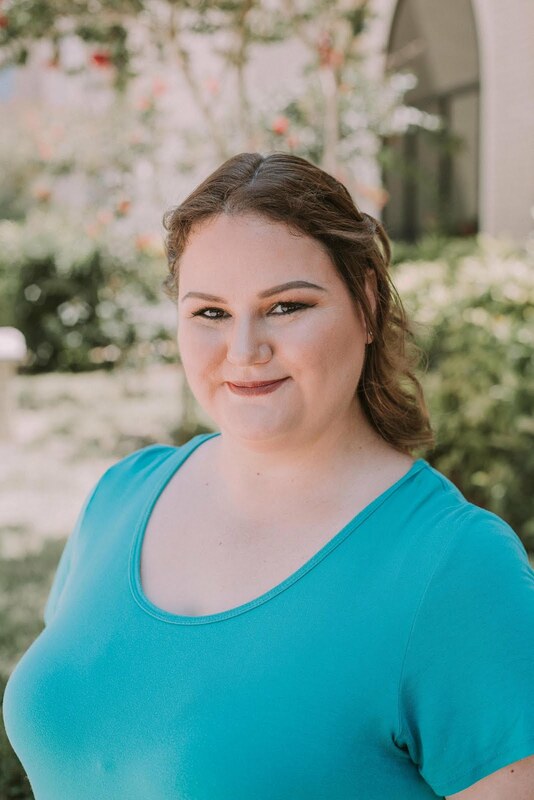 I was chosen to be a Guest Blogger for part of the series and Week 2 is mine! Week 2 polishes will be available for purchase starting Sunday, March 4th at 8 am EST until Saturday, March 10th at midnight EST. Each full size bottle is sold for $11.00 each with $3.50 for domestic shipping or $11 for international shipping. 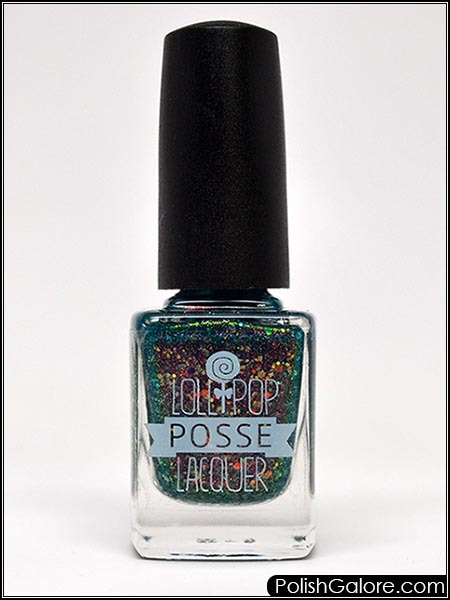 If you want to have your item ship immediately AND want a free goodie, please use coupon code POLISHGALORE. If you want to hold your items until all the Road to PolishCon polishes are released and be billed at once, AND get a free goodie, please use coupon code POLISHGALOREHOLD. 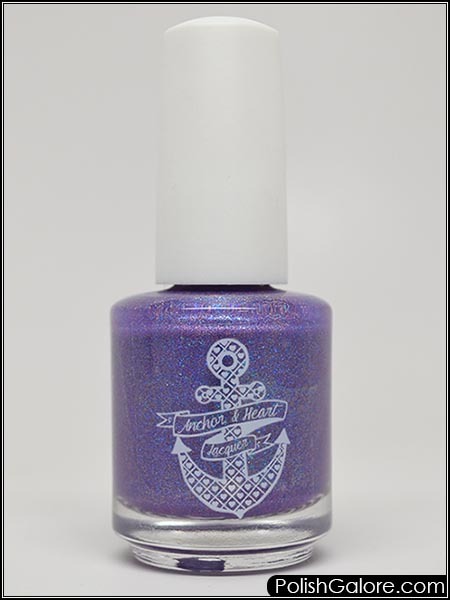 First up is Anchor & Heart "A Fairy Enchantment". This is a medium purple holo with a dancing flash created by purple iridescent micro glitter and electric blue micro flakes inspired by a photo of a performance of Shakespeare's A Midsummer Nights Dream. I used Glisten & Glow Ridge Filling base coat, 2 coats of polish and finished with Glisten & Glow top coat. I didn't have any issues with formula and it dried smooth. I could really see the electric blue micro flakes, even in low light. The holo is more of a subtle scattered holo but still bring out a lot of dimension in the polish. 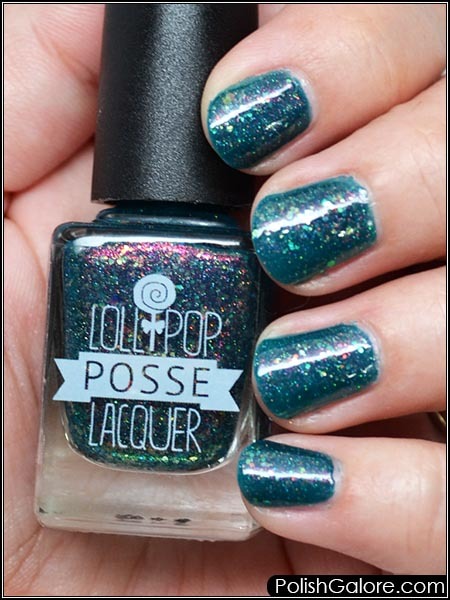 Next up is Lollipop Posse Lacquer "Merry Wanderer Of The Night". This is a teal-leaning green crelly with red/green/gold shifting aurora pigment, various sizes of iridescent green and chameleon glitters, silver holographic micro shimmer and gold flakes. This polish was inspired by that cramp Puck (aka Robin Goodfellow), of Shakespeare's A Midsummer Night's Dream. "Thou speak'st aright. I am that merry wanderer of the night." I used Glisten & Glow Ridge Filling base coat, 2 coats of polish and finished with Glisten & Glow top coat. Despite being listed as a crelly, I didn't have any issues with the flakes or glitters getting caught up in the polish, which is a polisher's dream. Also, you can see flashes of the red/green/gold and chameleon glitters just EVERYWHERE. I was really impressed with how this polish applied and that it didn't have any issues with the glitters/flakes laying flat. Also a plus, easy to remove AND no staining. Neither of these polishes have quantity caps on them, so be sure to order them as soon as they go on sale which is this Sunday, March 4th at 8 am EST until Saturday, March 10th at midnight EST on The Polish Convention website. Again, the polishes are $11 plus shipping ($3.50 domestic or $11 international) per bottle. You can use the code POLISHGALOREHOLD to hold your orders until the end to combine shipping. or if you want to ship immediate, use POLISHGALORE in order to get a free gift with your purchase! See you in a couple of weeks with more Road to PolishCon polishes!